AleaSoft participated last Tuesday, October 16, in the Webinar “What Artificial Intelligence means for the power generation industry”, organized by ATA Insights. Last Tuesday, October 16, ATA Insights, independent market intelligence consultancy specialized in connecting renewable energy companies with growth opportunities, organized a Webinar that addressed the theme “What does Artificial Intelligence mean for the energy sector?”. The session was led by specialists from AleaSoft and Tenley Consulting, with experience in the application of Artificial Intelligence in the energy sector. Artificial Intelligence and quantum computing are transforming the energy sector. Algorithms that automatically analyze operating data, environmental conditions and component properties, often better than human experts, are already operating across thousands of companies in several processes. The Webinar explored the role that Artificial Intelligence is going to take in the energy industry going forward. AleaSoft is a precursor of the fourth industrial revolution with the use of innovative techniques of Artificial Intelligence, Machine Learning and Big Data applied uninterruptedly in the energy sector since 1999. 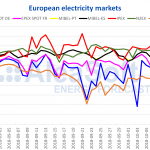 AleaSoft uses these techniques to obtain forecasts of electricity and gas demand, production from renewable energy sources, cogeneration and electricity market prices. Within the field of renewable energies, the company provides forecasting services for wind, thermosolar, photovoltaic and hydroelectric energy production. In the Webinar, AleaSoft presented its forecasting methodology, AleaModel, developed specifically for energy forecasting and that outperforms classic forecasting models. AleaModel takes advantage of the latest developments in statistics and Artificial Intelligence in the field of forecasting. It’s a hybrid model approach that combines the power of the Artificial Neural Networks and the efficiency of the Box-Jenkins SARIMA-type model and the multiple non-linear Regressions. 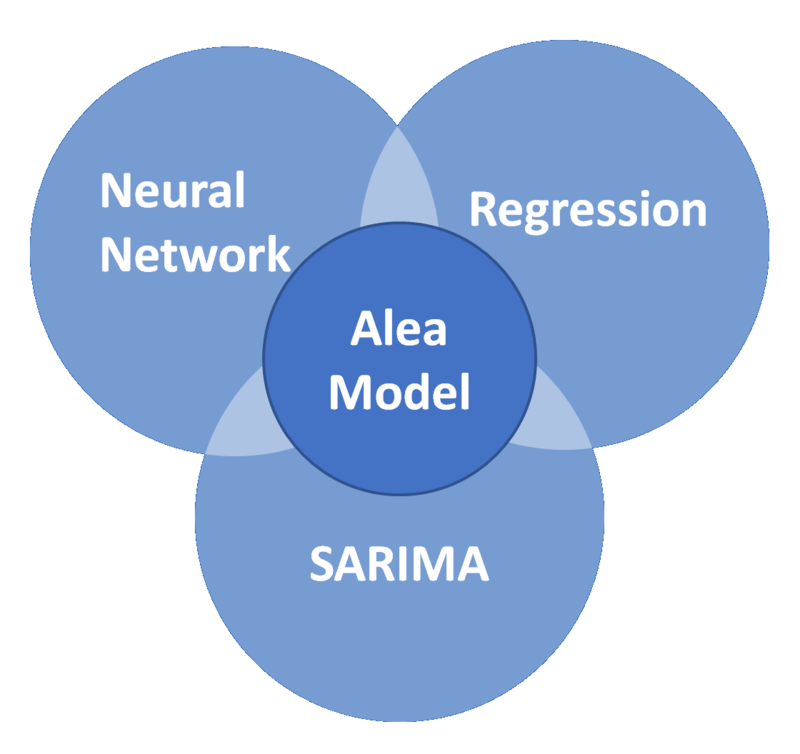 AleaSoft explained that the outcome of this hybridization is an Artificial Neural Network with a SARIMA model structure capable of capturing the seasonal dynamics and evolution of the series that provides the capability to rapidly adapt to changes in the tendency of the time series. Through Machine Learning techniques, the model looks for dynamic relations on the data to project them into the future as a function of the explanatory variables. The Recurrent Artificial Neural Networks used by AleaSoft incorporate auto-regressive and moving average algorithms in the transfer function of the neuronal structure in both regular and seasonal terms, incorporating the non-linearity into the transfer functions to accommodate non-linear dependencies with the variables. Altogether, it represents the most scientifically advanced structure of transfer functions for time series forecasting. At the end of the session, it was demonstrated that these techniques of Artificial Intelligence, Machine Learning and Big Data will have a great impact on the future of the energy sector. 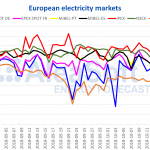 AleaSoft has been applying these techniques for 19 years to obtain forecasts that are used by all kind of agents in the energy sector: Utilities, Transmission System Operators, traders, retailers, large consumers, all kind of generators in the electricity industry and also by banks and investment funds. If you are interested in receiving the presentation shown by AleaSoft in the Webinar, or other information on Artificial Intelligence applied in the field of forecasting for the energy sector, you can write to info@aleasoft.com.